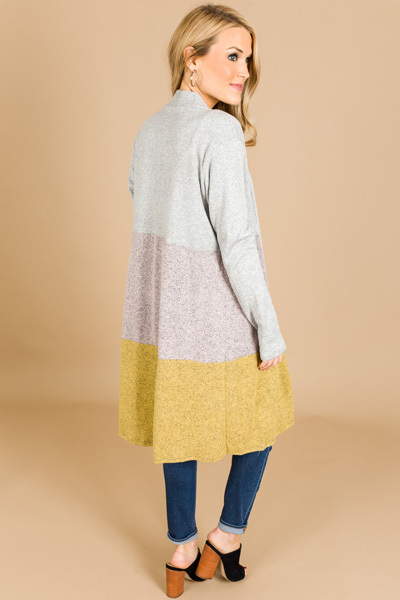 The super soft brushed knit, colorblock, and longer length make this cardigan a must have! It's perfect to toss on over your casual looks with leggings, but can also be dressed up with jeans. The poly-blend fabric feels so smooth, and it offers stretch and an open front.